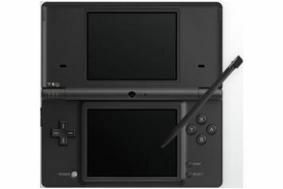 Nintendo announces DSi to take on the iPod Touch | What Hi-Fi? The DSi, due out initially in Japan with a release in the US and Europe expected to follow, boasts a camera, internet browsing software and a larger screen than its sibling. There will also be a number of accessories – in a similar way to Apple's Apps Store – aimed at convincing users the machine can function as an all-in-one source for MP3 music, videos, games and more. One feature picked-out for special attention by Nintendo is a piece of animation software that allows users to produce mini, You Tube style videos using their DSi. The machine will go on sale in Japan on November 1st for around £100, with a release in the rest of the world delayed until early next year – seen by some in Japan as a disastrous bit of bad planning.